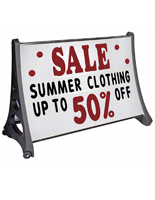 These letter board A-frames are made of strong plastic and have a black frame with a white message area. 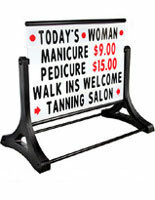 Each of the sidewalk signs features (2) wheels on one side that makes it easy to tilt, roll and move. 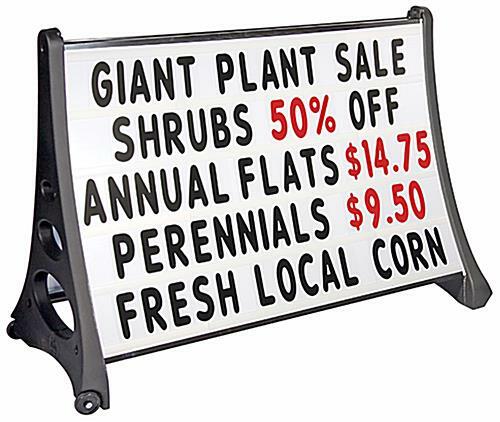 The pavement A-frames include a set of (421) black characters with red numbers and symbols for attracting the attention of passersby. 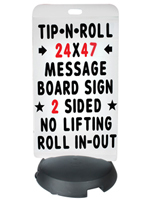 The plastic displays have a large 48" x 36" message area that can easily be seen from a distance. The A-frames with wheels feature a fillable base that can be weighted with either sand or water to remain stable in windy conditions. 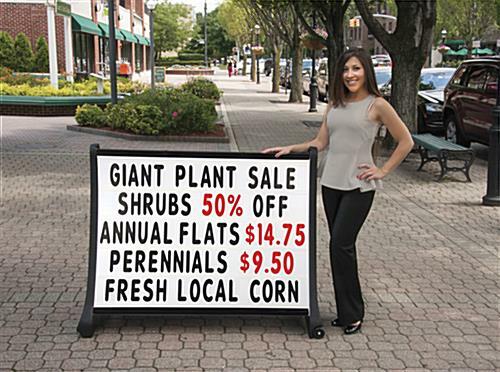 The sidewalk signs are effective on the pavement or in a retail store for advertising sales, offers and other promotions.